Soccer is the most popular sport in the world, and Cuba is beginning to transition from baseball to soccer with younger sports fans. A report from the Wall Street Journal explains why younger fans are starting to play more soccer, despite their team never making a serious run at the FIFA World Cup, Gold Cup or Copa America. When Rafael Almeida and Armando Marsans debuted for the Cincinnati Reds in 1911, they became the first Cuban-born players in Major League Baseball history. That would forever resonate on the small Latin American island for over a century. Hundreds of baseball players have hailed from Cuba like Rafael Palmeiro, Tony Perez and Jose Canseco. The United States and Cuba have had many negative relations for decades, but the two have always been tied with baseball at the helm. In contrast to most of Latin America, Cuba's most popular sport has been baseball as opposed to soccer. However, Brian Costa of the Wall Street Journal recently explained that the younger generation is losing interest in the game, and turning to soccer more. In many ways this is very surprising to hear. Cuba has provided MLB with so many great players, even to this day. Young kids in Cuba have so many players to look up to today such as Detroit Tigers outfielder Yoenis Cespedes, Yasiel Puig of the Los Angeles Dodgers, Chicago White Sox Rookie of the Year Jose Abreu, and many more. 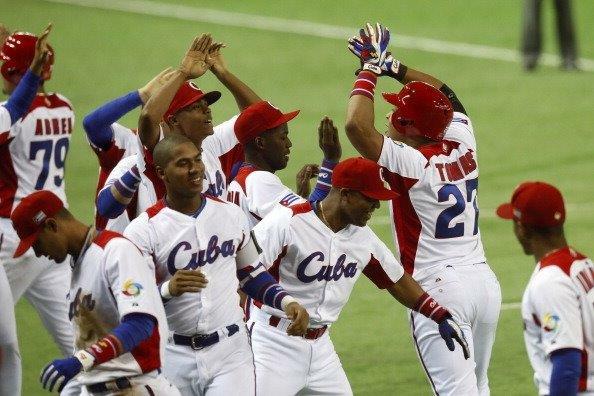 The Cuban National Baseball team has competed at just about every major international event with a lot of success. Cuba has won the gold medal at the Summer Olympics, Intercontinental Cup and Pan American Games on countless occasions. As for soccer on the big stage, Cuba has appeared in just one FIFA World Cup. That was back in 1938 when they defeated Romania. Cuba hasn't found any success at the Copa America or the Gold Cup tournaments either. Many Cuban baseball players have defected from the island nation, risking their lives to seek a career in MLB. Regardless of national success or powerhouse names, soccer just seems to be taking over with younger sports fans. As with the United States, baseball has also seen baseball ratings severely drop with young fans. The last two years the NFL Pro Bowl (a game that doesn't even count) has pitched higher ratings than MLB regular season games. Many young sports fans in the U.S. today find the game "too slow" and call it "boring" compared to the NFL or the NBA. Maybe America's past time is past its time. Clearly one of the driving forces in this shift is cost. Baseball requires more equipment, costs more to play, and soccer is a faster-paced sport for young ones. Another factor to consider is viewership. Many Cuban citizens can't watch all of the great players and baseball superstars because so few have internet and television access to MLB games when compared to the rest of the world with a government controlled media source. Boxing is also a very popular sport in Cuba in which the country has won numerous Olympic medals, but still shows no signs of overtaking baseball just yet. Cuba's neighbor to the East, the Dominican Republic, currently has the most international players in MLB. Baseball is still by far the most popular sport in the Dominican Republic. Like any other country, popularity among customs and culture is changing with young ones in Cuba. Soccer is the most popular sport in the world, and it just may become the most popular sport in Cuba in the future.